Breathable cotton-blend Lycra ® protects against skin tears. 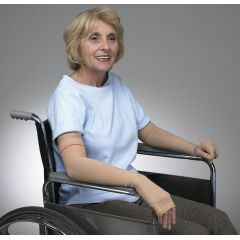 Extra length protects arms above the elbows. Thumbhole cutouts keep sleeves in place. Protects I.V. and wound sites.